As soon as I booked my flight for a three week adventure in Africa I knew that I needed to research the best way to transport my camera goodies. I immediately looked to Think Tank for a solution as I have been extremely satisfied with my International V2 for several years now; it is hands down one of the best gear purchases I have made. However- I could not see myself dragging my roller bag across the African Savanna, so I knew a new camera backpack investment was in order. I had several photographer buddies rave about the Think Tank Shape Shifter Backpack at WPPI earlier this year, so I looked into it and decided that it would be a perfect fit. 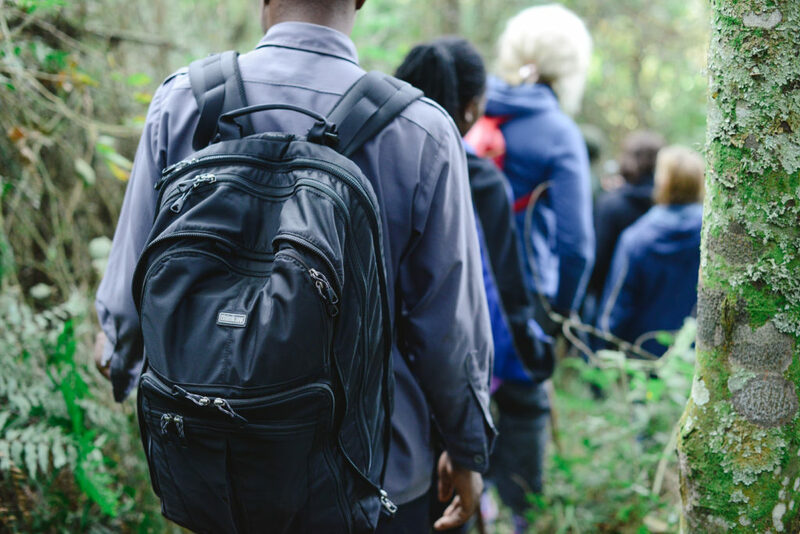 I was headed to Uganda to work with a stellar organization, Sixty Feet. 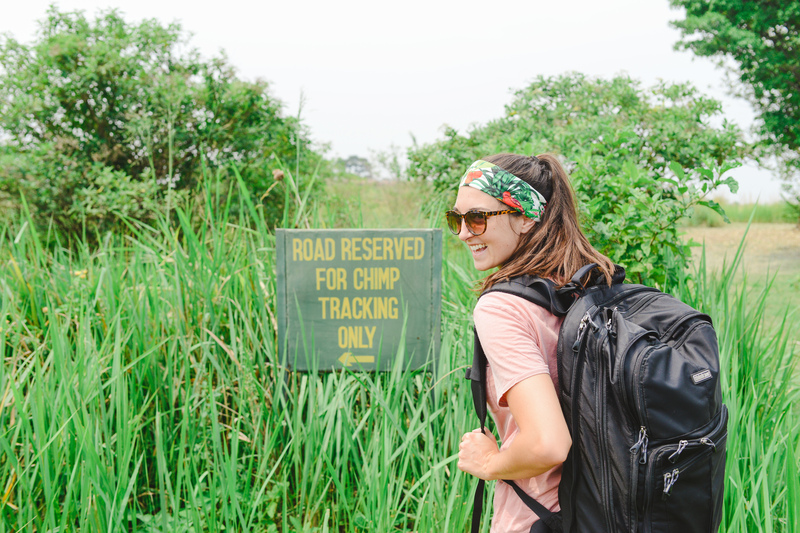 Also during that time we would be road-tripping across Uganda to track gorillas in the Bwindi Impenetrable National Park, chimpanzees in Kyambura Gorge, and Rhinos in Ziwa. We would be shooting around waterfalls, going on Safari drives in Murchison and boating along the Nile river. 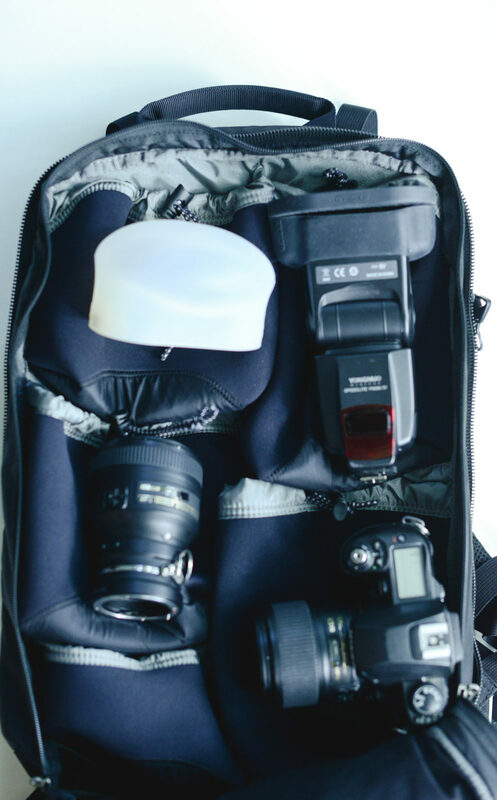 I was looking for a backpack well suited for a traveling photographer that would that would safely transport the following equipment- Macbook Pro, Nikon D800E, three lenses, two strobes, MagMods and a small light stand. I am completely neurotic when it comes to traveling with equipment. I wanted a backpack that doesn’t scream, “I am carrying thousands of dollars worth of camera equipment in here!” The minimalistic appearance of this backpack fit that description perfectly. 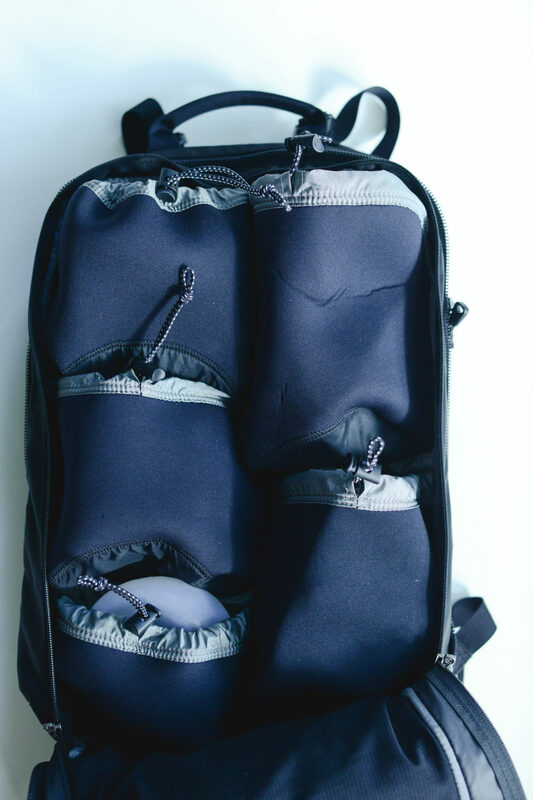 The backpack has lockable sliders for additional peace of mind when traveling through busy airports and crowded villages. My first impression when I received the Shapeshifter was that it was so small! I was only bringing essential equipment, but the bag couldn’t have been more than three inches thick. I wondered how it was ever going to fit all that it claimed to fit. I quickly learned how: magic, and many, many well made expandable zippers. There was a place for everything! Waterproof pockets for memory card cases, a pocket perfectly sized and padded for my iPhone 6, pockets for medicine, snacks, sunscreen, spare batteries…. It even had pockets within the backpack straps. So many pockets! Which was fantastic. I will say that towards the end of my trip this became problematic because I would forget where I stowed what. 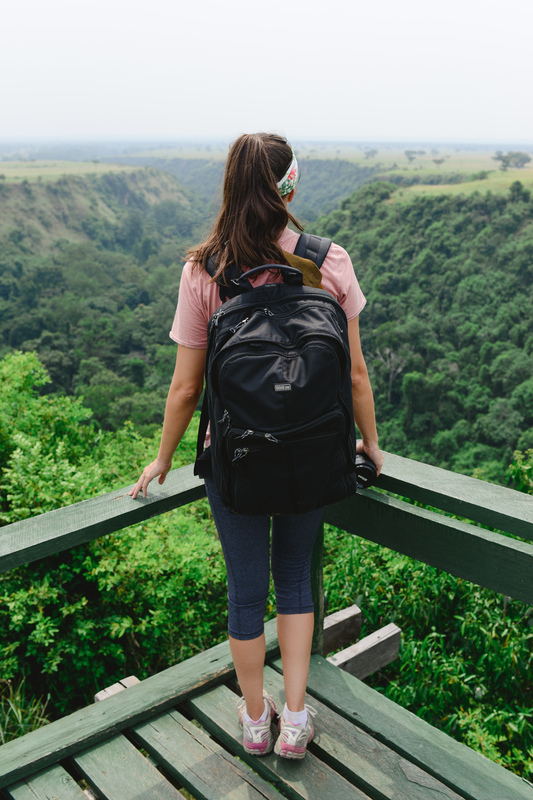 Since I knew I would be hiking up some pretty steep terrain I prioritized comfort, a nondescript profile over a quick access gear bag for my specific needs for this trip. I wanted a backpack that would expand and contract to fit my varying needs for each day’s agenda. I felt that the Shapeshifter was designed for maximum support but didn’t overpower my small frame. 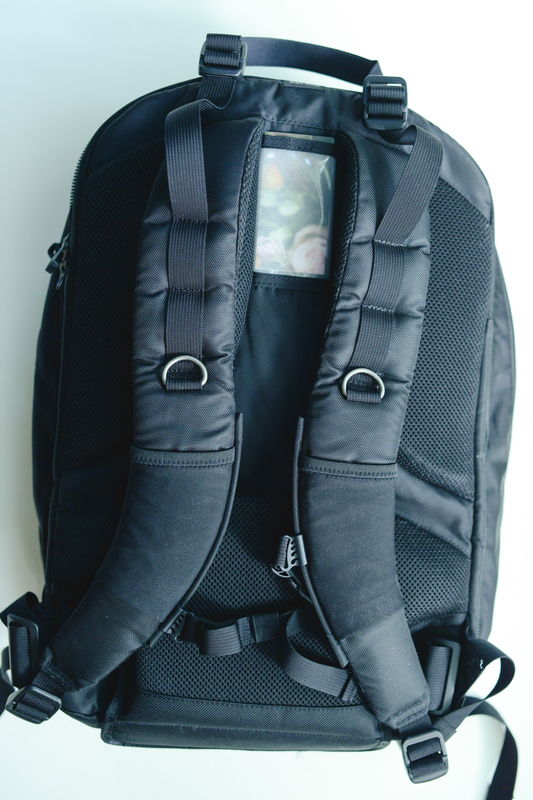 The straps and underside of the backpack were contoured and padded with airflow technology. 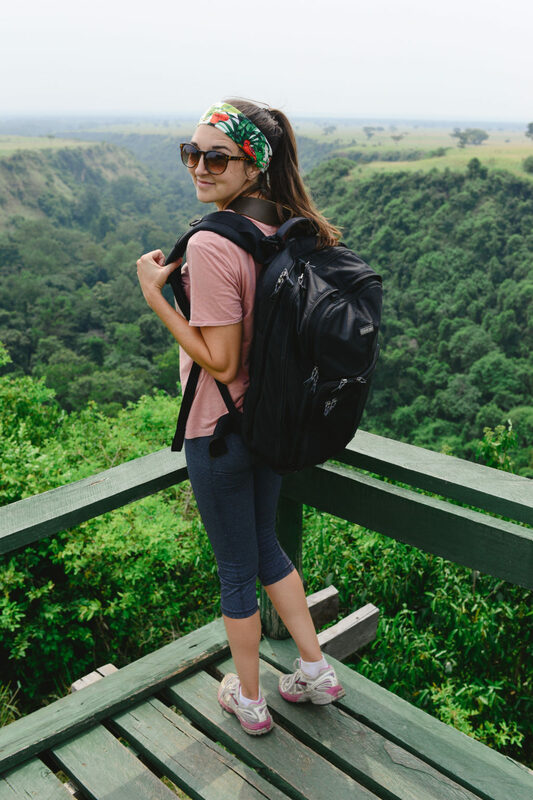 Even when I was hours into hiking in the jungle and feeling pretty sweaty I never felt as if the bag added any discomfort. The weight distribution was excellent, which was incredibly helpful when crossing slippery terrain along cliffs. I solved the lack of quick access problem by attaching my prime lenses to the D ring via a lens flipper. 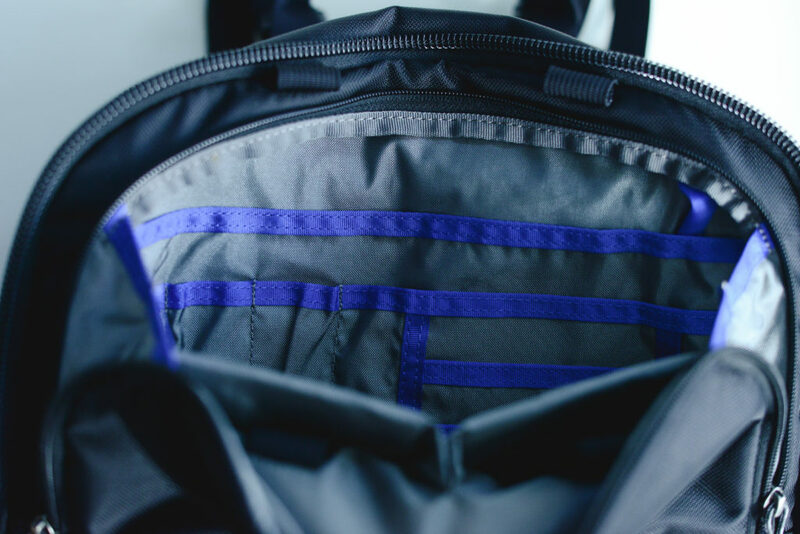 The Shapeshifter backpack itself is water resistant, but there is an additional waterproof cover included. This was ideal when we were traveling in close proximity to waterfalls. It also provided a good deal of peace of mind when it appeared that a storm was approaching. 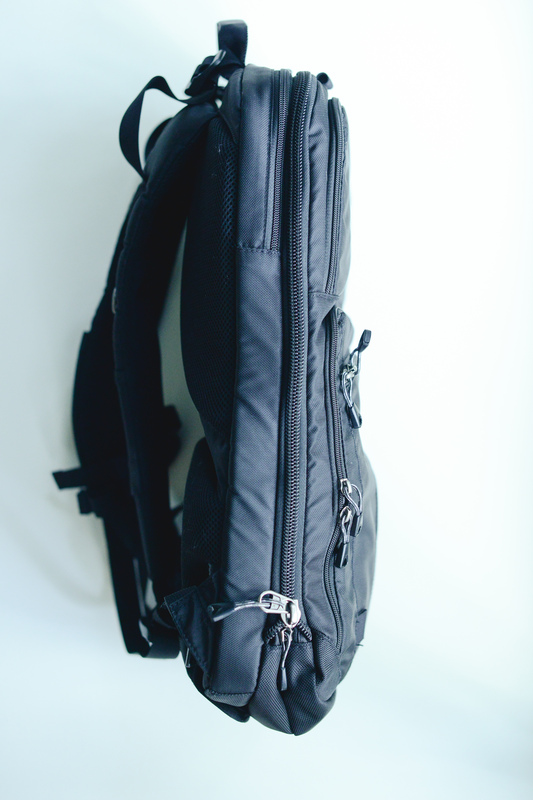 Overall I am certain that I made the best choice of camera backpack for my trip to Africa. I really never felt as if the equipment impeded my shooting. The Shapeshifter performed in such a way that left me feeling comfortable and supported despite the rigorous terrain conditions. I cherished the peace of mind knowing that my camera bag didn’t make me a target for theft. I highly recommend the Think Tank Shapeshifter! So many pockets. This is both a blessing and a curse. I would sometimes feel frustrated at trying to remember what I stowed where. This could be user error, though. No quick access to equipment. We were diving alongside a dirt road and an elusive jaguar appeared. I managed to get needed equipment out fairly quickly but I did lose a few seconds digging to find a lens in one of the bottom pockets of the bag. I was extra careful because there’s not a lot of exterior padding with the Shapeshifter. This is not necessarily needed due to the cushioned, suspended camera body and lens pockets. When I stowed the bag in the back of our van I was mindful that it wouldn’t get crushed by suitcases and such. Next ArticleReconstructing the Creative Inspirations Behind Todd McLellan's "Things Come Apart"